Do you ever have those days when you have so many ideas for outfits that you just simply cannot pick one? Me. Today. I usually keep a list of four to five looks that I want to wear sometime in a two-week timeframe. However, today was an exception. I am more often than not, at the package center on south campus and Blush Boutique's timing was impeccable. In fact, I was on the hunt for a cropped sweater to layer my button-downs with for the winter, and this one I'm wearing satisfies me on all levels. For starters, it's a bit loose aka feasible for layering, and it's not itchy or static-y. Check and check. Sidenote: Today is the launch party of Carrie Grace's The Necklace Club for 2015. 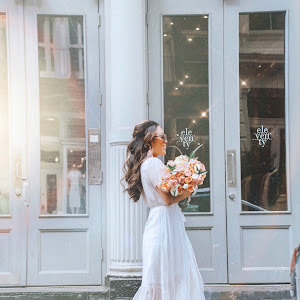 I am so honored to launch it with her and a few other bloggers around the blogosphere today. Basically, you will receive a new necklace every month for a year in your mailbox! Use code: 2015 for $30 OFF or sign up for $16 a MONTH. A little memo on Carrie Grace: she's an amazing and inspirational gal who lives here in the Triangle area that I have yet to meet. She's literally ALL SMILES and I always visit her Instagram whenever I'm having a bad day. Seriously just love her positive outlook on everything. 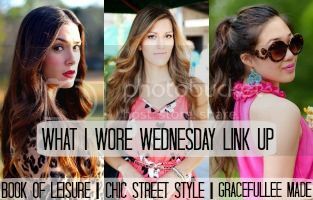 And... it's What I Wore Wednesday! Don't forget to come link up with us! I know you enjoy coming up with your post titles and I give this one an A++ haha .. Love the "&" necklace! You look super adorable and I absolutely love this layered look! I Really need a cropped sweater! Absolutely love this black and white outfit! Thank you Jacy! YES, it's a must! Thank you SO much for the feature. Such a nice surprise!!! 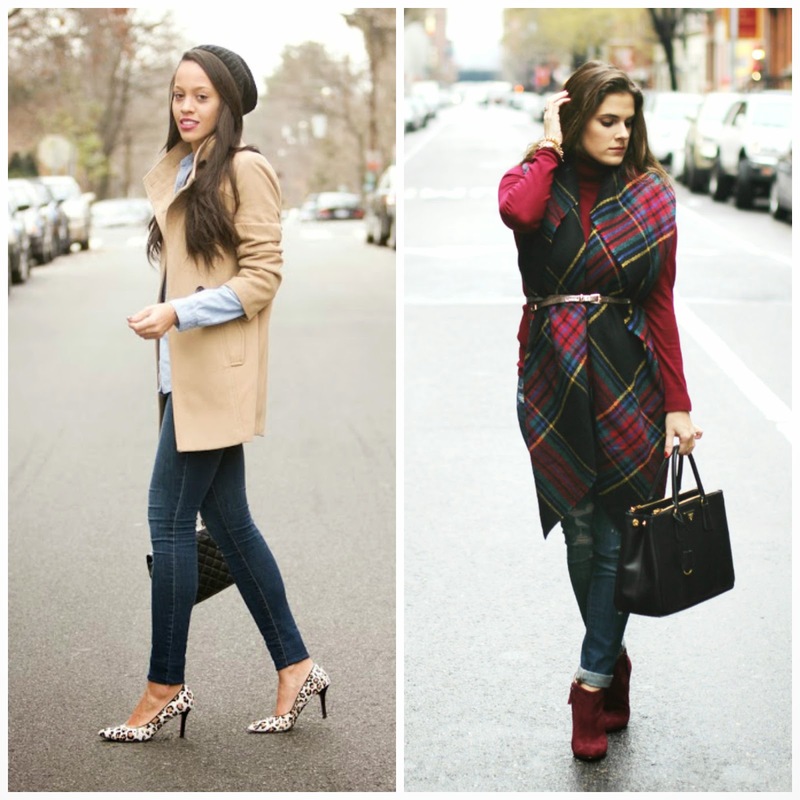 Really loving your winter layers. Especially the pops of red throughout. That ampersand necklace is so so so cute! What an absolutely gorgeous look! 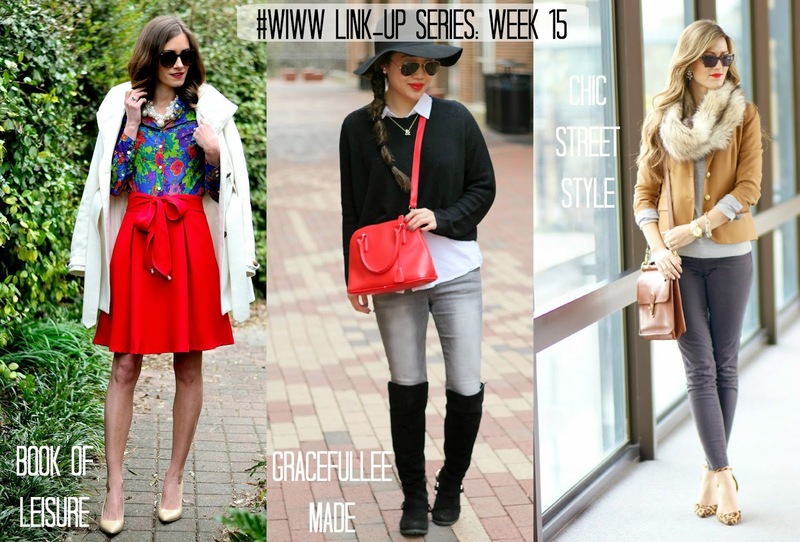 Love your outfits- that red bag is adorable! Also like the brick around you :) We are in the triangle as well! Fun seeing recognizable locations! Thank you Elena! 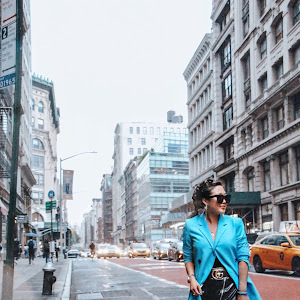 I loved how you belted your blanket scarf ;) thanks for linking up with us!